This meticulously maintained four Bedroom, two full and one half Bath Colonial is a must see! A true Gem nestled in the heart of Pelham Manor. Move in ready with all new appliances, custom blinds and freshly paint. The enclosed front porch leads you right into the living room w/fireplace. Cook up a storm the next holiday in the top of the line kitchen w/spacious dining area and useful build ins. The sleeping quarters with four bedroom and a full bath are located on the second floor. 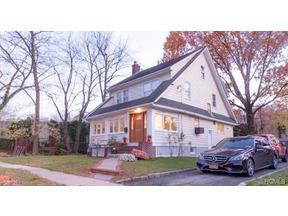 Lovely full finished walk-up attic w/ storage under eves. You will love the crown moldings and the beautiful hardwood floors that are throughout the home Close proximity to parks, shopping and beaches. Just a short train ride to Midtown Manhattan via Metro North Railroad.